Blue Lagoon Cruises are providing more ‘Fiji time’ for guests to explore the stunning Mamanuca and Yasawa Islands with a ‘Cruise Longer for Less’ offer. Book a 7 Night “Escape to Paradise” Cruise and only pay the 4 Night “Wanderer” fare and save up to $1600* per person! The offer is valid for booking until 30 June 2017 for travel from 20 Oct 2017 to 31 March 2018. Visit www.bluelagooncruises.com for bookings and further information. 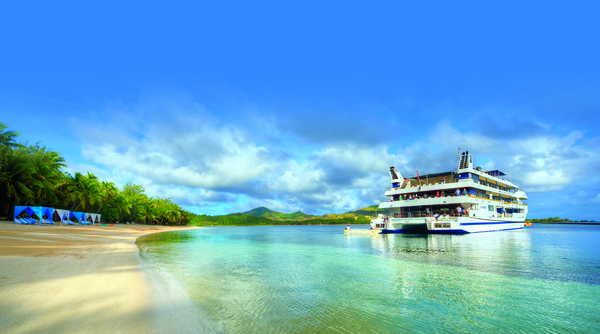 Blue Lagoon Cruises embodies the romance of the South Pacific and provides the perfect setting for guests to indulge while cruising through the picturesque Mamanuca and Yasawa Islands. A maximum 4 hours cruising per day ensures guests spend more time exploring onshore and less time on the vessel. Cruises are always personal and friendly with the all-Fijian crew on board small ship Fiji Princess accommodating just 68 passengers.